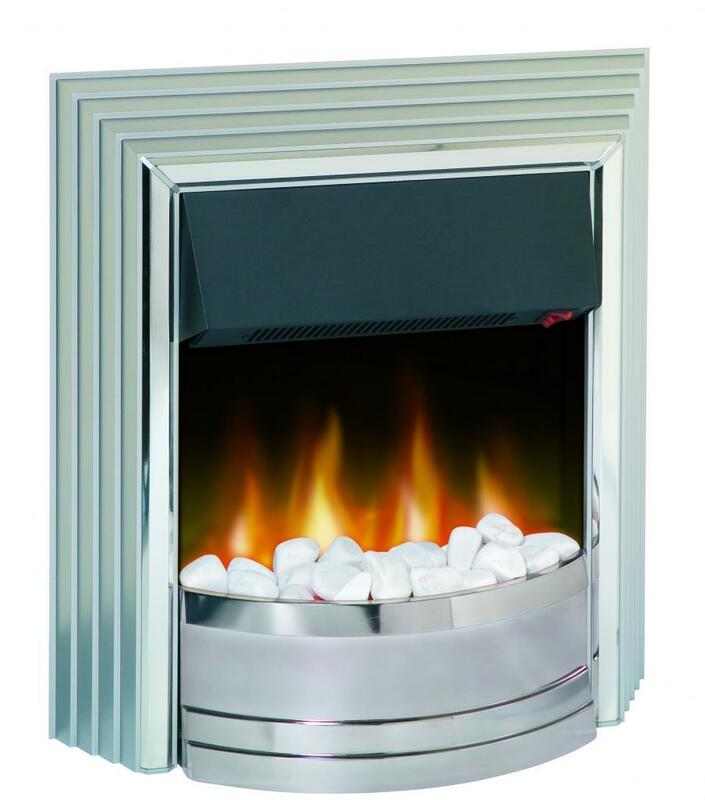 The Castillo Optiflame Inset fire has an elegant and contemporary look, finished in satin silver with chrome effect fret and trims. 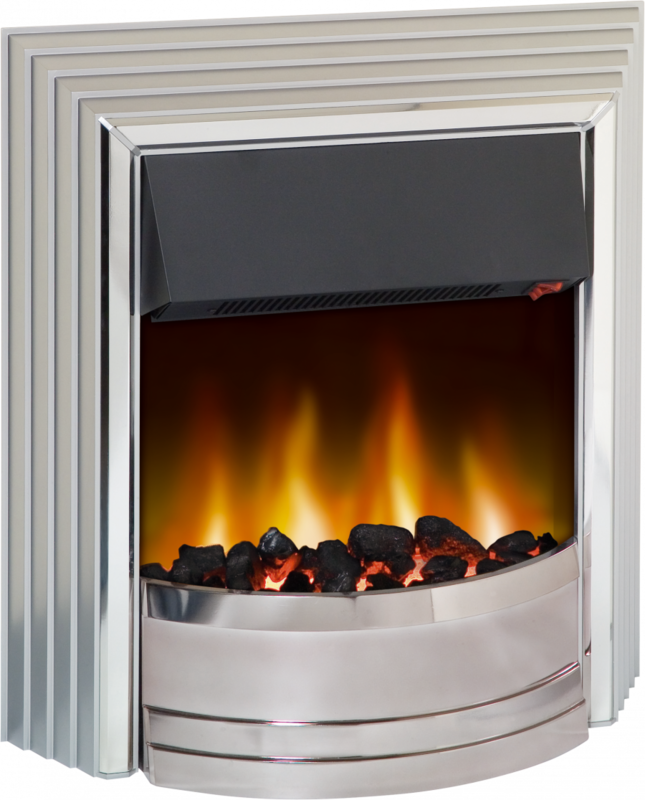 With a choice of 2 heat settings (1 or 2 kW) for a greater control over your room temperature, it is supplied with a choice of a real coal or white pebble fuel beds. It has been independently tested to stringent BEAB standards. The primary advantage of the Castillo is it can be placed flat to wall and will cover the majority of fireplace openings. 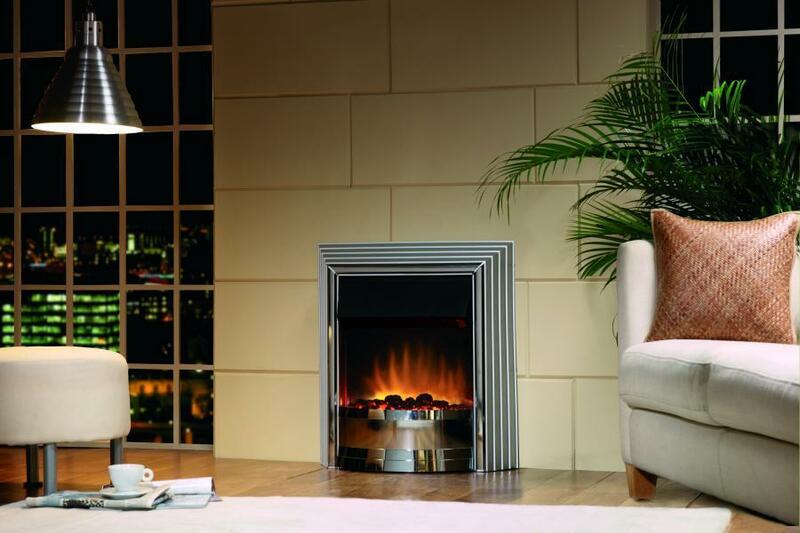 Dimplex products carry the CE mark complying with European safety standards and the European Standard for electromagnetic compatibility.